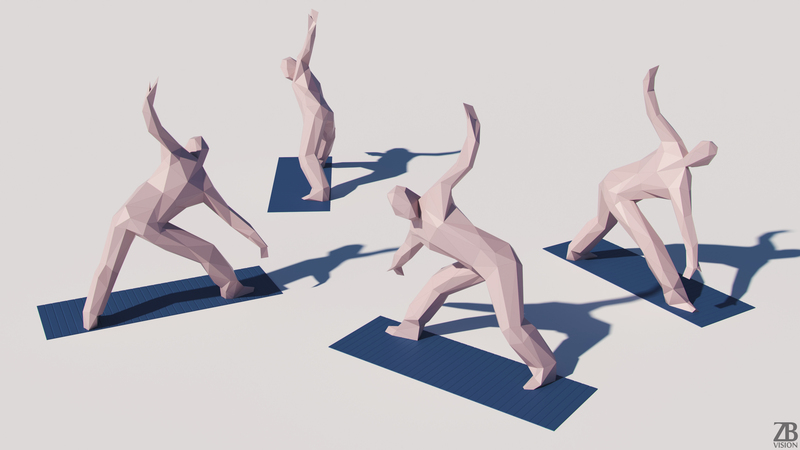 The 3d lowpoly man model is presented as single mesh. Pivot is set for ease of use at the lowest point of object. Mesh is tris based. 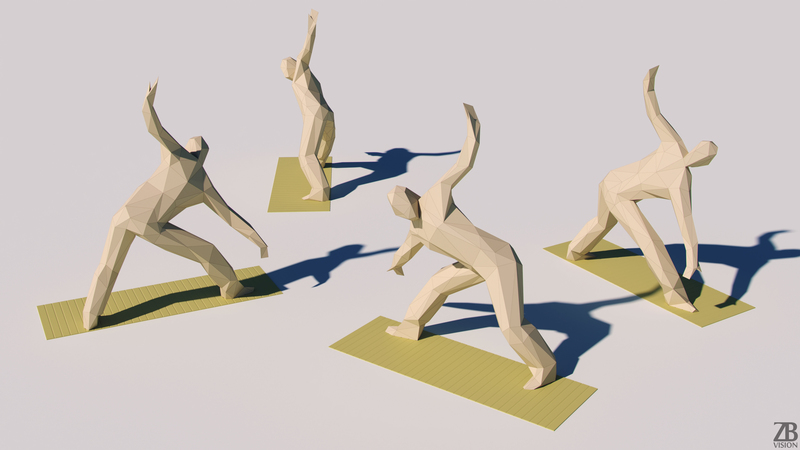 The polycount is 346 for the yoga man and 316 yoga mat.